How Lamborghini burning at the speed of 402 km/h (250 mph)? Home / Video / How Lamborghini burning at the speed of 402 km/h (250 mph)? Another example of how not to exaggerate with advancement of super cars. At the top performance cars are not the best basis for various experiments in order to reached the maximum limits are assured the best driver “Lamborghini Galardo” which tested the runway as far supercar, who after the alterations he donated 2,000 horsepower . The car seen speeds of over 400 km/h (us 248 mph) on the long path just 1.6 kilometers( 1.0 miles) in just 24 seconds. Quite predictably, but also very dangerous. The combination of excessive force and speed “Lambo” result in fire, just before reaching this kind of record. The happiness, the pilot managed to safely stop the vehicle and get out of it. 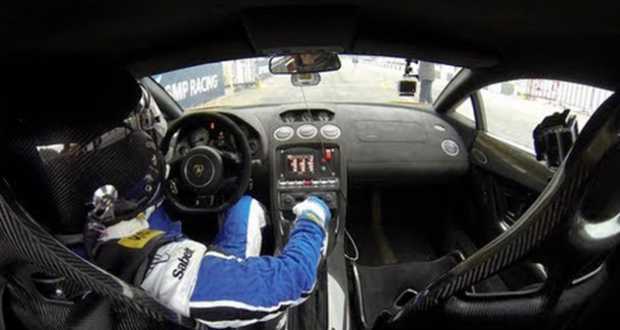 The video showed that he was aware of the possibility of risk to the enterprise, so the first appearance of smoke starts to unclip the seat belt, even while driving the car at high speed.